Napoli have been heavily linked with a move for Manuel Lazzari over the course of the transfer window. 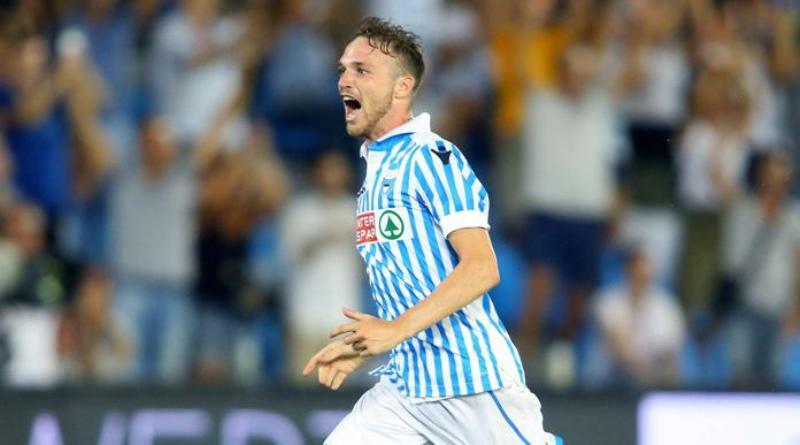 Italian source claim that Napoli are in advanced talks to bring SPAL right-sided midfielder Manuel Lazzari. The Italy international was signed by SPAL in July 2013 from Giacomense. The 25-year-old has a contract until 2023 with the club. Lazzari made 167 appearances across all competitions for SPAL, scoring 4 goals and supplying 22 assists in return. The Italy international has impressed in Serie A this season and is starting to attract the interest of bigger clubs. Napoli have built a reputation for recruiting young talent from within Europe, predominantly targeting those with sell-on value and immense potential. Carlo Ancelotti is a long term admirer of Lazzari and believes he can get the most out of the Italy international. Undoubtedly Lazzari would be a fantastic recruit for Napoli. Will Manuel Lazzari be a Napoli player soon? Only time will tell.